It's here! 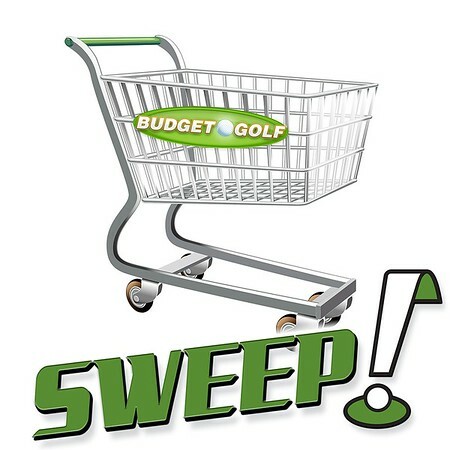 Signup is now open for the GREATEST 60 SECONDS IN GOLF EQUIPMENT called The Sweep. 60 seconds to run around the Budget Golf warehouse and keep anything you grab. TWO lucky winners have a shot and there are no costs involved. In 2019, the excitement returns, but with a slew of changes, making this the greatest Golf Game Show and a chance at glory for THPers. Everything is covered including airfare, hotel, food and all of the fun that is possible in 2 days. You will be armed with a shopping cart with some cameras. A stop watch will be set to 60 seconds and when the horn sounds, your job will be to take off and grab anything you want. If it is in your cart when you finish the run, you get to keep it. One thing to remember is you can only take one of a specific item. You will not be able to just grab 20 dozen of the same golf balls, 6 of the same drivers, but you could grab 6 different drivers, or sets of irons or anything of the sort. After all, this is your championship run and to the victor goes the spoils. Entering is easy and all you have to do is follow these 3 simple steps. Send an email to admin@thehackersparadise.com with this information. If you love fun, Budget Golf is going to make sure THPers have it. That is it. Then sit back and wait to see if you get your name called next week on the THP Forum. In on one!! The greatest thing ever!! And entered. did I win yet? Last edited by badolds; 02-06-2019 at 02:12 PM. Thanks JB, this one is so much fun, cant wait to see who gets to go!!! So cool. This would be an incredible event to film! Entered! Would love to meet the Budget Golf crew! I will definitely be entering. Great event with a great Budget Golf team. Participant in 2019 Ultimate Testing: Metal Woods Edition! Entered! The most exciting 60 seconds in golf is back! When THP makes it that easy to get in on a rare once in a lifetime opportunity, you take it! Count me in! Thanks THP !!!! The Nut is in! Incredible contest! Love this! Good luck everyone!